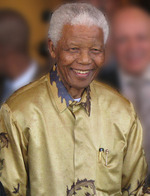 (JNS.org) Presbyterian Church USA (PCUSA), during its June 30-July 7 biannual conference in Pittsburgh, Pa., fabricated a quote from former South African president Nelson Mandela on Israel’s treatment of Palestinians. El Fassed has said that there is “no possible basis” to say that he “intended people to believe the memo was written by anyone other than myself,” admitting that the words were his, not Mandela’s. (JNS.org) Presumptive Republican presidential nominee Mitt Romney will visit Israel this summer, the New York Times reported Monday. During his trip, the former Massachusetts governor is set to meet with Prime Minister Benjamin Netanyahu. Netanyahu and Romney first met as consultants for the Boston Consulting Group, where they were said to bond over their shared view of the world. This year, the prime minister reportedly called Romney on Super Tuesday to brief him on the situation in Iran. (JNS.org) A splendid synagogue from the Talmudic period was unearthed recently during excavations at Khirbet Hukuk in the northwestern Galilee on the site where a Jewish community existed between the fourth and sixth centuries C.E., Israel Hayom reported. A strikingly colorful mosaic depicting the biblical story of Samson, along with Hebrew texts, was revealed on the synagogue floor. The spectacular finding was made under the guidance of Professor Jodi Magness of the University of North Carolina, with the help of Dr. David Amit and Shua Kisilevitz from the Israel Antiquities Authority. The Jerusalem Talmud links the community of Hukuk to the rabbis of the Mishna and Gemara, and the synagogue there was first mentioned in Rabbi Ishtori Haparchi's book "Kaftor Vaperah" (literally “Bulb and Flower”), written in 1322, which was the first Hebrew book on the geography of the Land of Israel. (JNS.org) The Jewish Federations of North America (JFNA) on Monday announced the adoption of a new tagline—“The Strength of a People. The Power of Community”—chosen from a pool of 35 candidates by the umbrella organization’s marketing committee. In October 2009, JFNA’s board voted to adopt the group’s current name and logo. Previously, the umbrella representing 157 Jewish Federations was known as the United Jewish Communities. (JNS.org)Algerian author Boualem Sansal was denied 15,000 euros he was set to receive for winning the Editions Gallimard Arabic Novel prize due to his recent Israel visit, French24 reported. The author, who still accepted the award—without the prize money—on June 28, said Arab countries like his native Algeria “shut themselves in a prison of intolerance” by maligning his Israel trip. “Yes, there are complicated relations with Israel, but we are not at war with them,” he said. (JNS.org) Muslim persecution of Christians was rampant in countries with significant Christian minorities during the month of May, the Middle East Forum (MEF) reported. In Indonesia, a mob of 600 Muslims tossed bags of urine and other items at the congregation of a Protestant church, while authorities sealed off 20 Christian houses of worship for “not having permits,” according to MEF’s monthly account of Muslim violence against Christians. Raymond Ibrahim, Shillman Fellow at the David Horowitz Freedom Center, noted in a column that four youths broke into the Church of St. Joseph in France and threw pebbles at 150 worshippers. In Pakistan, Ibrahim wrote, a group of Muslim men beat a woman pregnant with twins and caused her to suffer a miscarriage; the men, who allegeldy raped the woman’s 13-year-old niece, were trying to force her to drop those charges against them. (JNS.org) Any attack on Iran by Israel would “hand us an excuse to wipe them off the face of the earth,” Iranian Revolutionary Guard General Amir Ali Hajizadeh said Sunday. Hajizadeh, announcing three days of missile tests by Iran, said the exercises should be seen as a message “that the Islamic Republic of Iran is resolute in standing up to ... bullying, and will respond to any possible evil decisively and strongly,” according to the IRNA news agency. Israel says it could attack Iran if diplomacy fails to force Tehran to abandon its nuclear aims. The U.S. also says military force is on the table as a last resort, but U.S. officials have repeatedly encouraged the Israelis to be patient while new sanctions take effect. (JNS.org) The U.N. Educational, Scientific and Cultural Organization’s (UNESCO) World Heritage Committee on June 30 added the Church of the Nativity in Bethlehem to its list of sites in danger, citing water damage and the need for immediate repair. The Church of the Nativity is under the auspices of the PA, and the decision to recognize it as a “World Heritage Site” was interpreted by Palestinians as a confirmation of their right to the land. (JNS.org)Egypt’s new president said he would try to attain the release of Islamist terrorist Sheik Omar Abdel-Rahman, who was convicted for planning follow-up attacks to the 1993 World Trade Center bombing, the New York Times reported. President Mohamed Morsi, of the Muslim Brotherhood, said in Cairo that it his “duty” to free Egyptian civilians imprisoned in the U.S.—namely Abdel-Rahman, who is serving a life sentence in a Butner, NC, prison for foiled attacks he plotted on landmarks throughout New York City. Abdel-Rahman was accused of leading a terrorist organization called “The Islamic Group,” which was responsible for the killing of 58 foreign tourists and four Egyptians in the 1997 “Luxor Massacre” in Deir el-Bahri, Egypt. (JNS.org) Following a state report on one of the worst fires in Israel’s history, Jerusalem’s arson problem has raged on. A recent report by State Comptroller Micha Lindenstrauss on the December 2010 Mount Carmel fire—which claimed 44 lives—cited flaws in the way Israel’s emergency services, firefighters, police, and prison authorities have handled large fires. After the report, Prime Minister Benjamin Netanyahu said he took “overall responsibility” for failing to use his clout to appropriate the necessary government resources for firefighting. There were two simultaneous forest fires in Jerusalem on June 26. ”Forest fires don’t just happen, and when two fires start simultaneously it is fitting that we will ‘lift our antennas,’” National Fire and Rescue Services Commissioner Shahar Ayalon told Haaretz. The Jerusalem Post reported June 24, the same day Jerusalem firefighters put out what they believed to be more arsons, that over a recent six-week period there have been over 2,000 arsons in the city. Jerusalem sees 8,000 fire-related incidents per year. Though Netanyahu took the blame for the 2010 Mount Carmel fire, Algemeiner editor Dovid Efune highlighted the rash of subsequent arsons perpetrated by Israeli Arabs as the root of the problem. “For Israel, [the uptick in arsons] serves as a stark reminder that the internal 5th column threat posed by many Israeli Arabs is a real and developing challenge that must be addressed,” Efune wrote. (JNS.org) Yitzhak Shamir, Israel’s 7th Prime Minister, died June 30 at 96. Shamir was first elected in 1983 as the second prime minister from the Likud party. After a tie in the 1984 elections, he shared the post with Shimon Peres. In 1988 he won again, serving until 1992. Shamir was born in Poland as Yitzhak Yezernitzky and immigrated to the British Mandate of Palestine in 1935. Shamir began his political career by fighting against the British mandate in the Irgun (Ha'Etzel) and the Lehi. His family, which remained in Europe, was killed in the Holocaust. “Shamir personified loyalty to the Land of Israel and the eternal values of the Jewish People,” Netanyahu said. (JNS.org) A Syrian journalist claimed on Palestinian Authority Television (PA TV) that a top-secret CIA memo from the administration of President Bill Clinton had set the year of 2022 as the date of Israel’s demise. “By Allah, from your mouth to Allah!” the host of PA TV’s program replied. (Israel Hayom/Exclusive to JNS.org) A delegation of five cadets and an officer from the United States Military Academy at West Point visited Israel for a weeklong training seminar at the Israel Defense Forces’ Tactical Command College, located five miles north of Tel Aviv. The U.S. delegation, which departed from Israel June 30, toured the country with trainees from the IDF College and their commanders, and learned about the Israeli soldiers’ expertise in counter-terrorism. This was the fifth year in a row West Point cadets visited Israel. An IDF spokesperson said the visit indicates the close ties between the Israeli and U.S. militaries. (JNS.org) Jordanian King Abdullah II re-engaged with Islamists by meeting with seven Hamas leaders on June 28. The meeting focused on a two-state solution to the Israel-Palestinian conflict, reported the Associated Press, even though the Hamas charter explicitly denies Israel’s right to exist. Exiled Hamas leader Khaled Mashaal headed the gathering, which marked the second time he met with the Jordanian king. (JNS.org) The legislation aimed at replacing Israel’s Tal Law is now in limbo after the Yisrael Beiteinu announced June 28 that it would no longer participate in the multi-party committee scheduled to issue recommendations on the matter. The Tal Law, enacted a decade ago, effectively exempts ultra-Orthodox Jews who opt to study in yeshivas from military service. The High Court of Justice recently declared the law unconstitutional and said it must be replaced by Aug. 1 with a new law that does not discriminate against those who do serve in the military. Yisrael Beiteinu Chairman Avigdor Lieberman said his party made its move following the multi-party committee’s decision to avoid legislation that would apply the mandatory conscription or national service requirement to Israeli Arabs, Israel Hayom reported. Arab lawmakers were furious at the prospect of compulsory service. “Arabs don’t have to be the victims of the Jewish war between Lieberman and [Prime Minister Benjamin] Netanyahu,” Arab lawmaker Ahmad Tibi of the Raam-Taal Party told Army Radio on June 29. (JNS.org) A French-born, white Jewish woman is running for parliament in Senegal. A film director and a writer, Laurence Gavron has lived in the African country for a decade. “I’m a Senegalese of French origin, ‘a product of diversity,’ as they say in France,” said Gavron, 57, according to AFP. “If all the people who have said they will vote for me really do vote for me, then I shall certainly be elected,” she added. If she wins, Gavron would be only the second white member in the history of Senegal’s parliament. The first, Jean-Baptiste Collin, was elected in 1961. (JNS.org) NEW YORK—For Gilad Shalit, freedom means returning to a normal life. Responding to a question from JNS.org at a gathering of American Jewish leaders in New York on June 28, the former Hamas captive said he hopes to spend the next six years going to school and developing his career. “You are our son, our grandson,” Malcolm Hoenlein, executive vice chairman of the Conference of Presidents of Major American Jewish organizations, told Shalit. Shalit smiled quietly and responded to the outpouring of love and emotion that greeted him. Standing with Deputy Consul General of Israel in New York Shlomi Kofman, he offered thanks for the efforts made to gain his release, and confirmed that he was aware of “the prayers of millions” and the unflagging work of his parents and many others. Currently, Shalit is co-authoring a sports column with Yediot Achronot columnist Arik Henig. Hoenlein presented Shalit with a 6-inch-thick volume containing “Letters to Gilad,” tens of thousands of messages sent to him during his captivity, and a volume of Ethics of the Fathers (Pirkei Avot). The latter volume, Hoenlein noted, contains the admonition that Jews assure the return of the captive. (JNS.org) Israel Defense Forces (IDF) Division 36 Commander Brig. Gen. Tamir Haiman warned on June 28 of possible terrorist attacks in the Golan Heights originating in Syria, Israel Hayom reported. “The developments across the border increase the potential for terror attacks. It is our obligation to lay a foundation [of defense] and prepare our forces,” Haiman said. IDF officials have voiced concern that the Syrian regime’s diminishing power provides an opportunity for members of the global jihad to perpetrate terrorist attacks on the Golan Heights. A similar scenario has already proven to be true in Egypt’s Sinai Peninsula, where after Hosni Mubarak’s ouster the region fell to lawlessness and since has served as a staging ground for multiple infiltrations and terrorist attacks in Israel. (JNS.org) A Hamas operative detailed the production of Qassam rockets in the West Bank just before the Second Intifada, admitting that terrorists were planning to target the Israeli Knesset. Hamas published an interview with Ahmed Akram Salmi on June 27 in which Salmi described that he and other terrorists bought a space where they built rockets and explosives, and housed a special car to transport the explosives into Israel. The terrorists built nearly 20 “Qassam 1” rockets. “The most obvious rocket targets were the Knesset building, the Ben Gurion Airport and other cities, the most prominent of which was Tel Aviv,” Salmi said, according to Yediot Achronot. (JNS.org) U.S. Secretary of State Hillary Clinton on June 28 urged the Latvian government to give current Jewish groups property that was seized by the Soviet Union from Jews who were killed during the Holocaust. The property includes schools, synagogues and other buildings. “The United States strongly supports restitution or compensation for those whose property was confiscated by either the Nazis or the Communists,” Clinton said at a news conference in Latvia, according to Reuters. However, Latvia is currently one of the European Union’s poorest states, making property restitution to Jews a controversial issue in the country. Latvian nationalists also oppose special treatment for Jews, arguing that current laws suffice for the restitution of nationalized property. The result has been growing tension between the U.S. and the Baltic state. (JNS.org) Billboards requesting the end of U.S. military aid to Israel were removed by a CBS subsidiary after activists used the television network’s name without permission in organizational emails and fundraising appeals. The “Coalition to Stop $30 Billion to Israel” had put up billboards in Los Angeles reading "Tell Congress: Spend our Money at Home, Not on the Israeli Military,” specifically targeting the George W. Bush administration’s 10-year, $30 billion commitment that started in 2007. The organization also opposes “Israel’s ongoing occupation and control over Palestinian Territories,” according to its website. (JNS.org) Former Hamas military commander Ibrahim Hamed on June 27 was convicted of murdering 46 Israelis, Israel Hayom reported. Hamed, who was found guilty in a Judea military court, was involved in bombings at Moment Café in Jerusalem and the Pi Gillot fuel terminal, as well as Jerusalem attacks at Hebrew University, Hillel Café and Zion Square. Israel refused to release Hamed in the exchange of 1,027 Palestinian prisoners for captive Gilad Shalit because when he was let go from prison in 2001, he planned the abovementioned attacks. (Israel Hayom/ exclusive to JNS.org) In the wake of the murder of Yonatan Sandler and three children at the Jewish Otzar Hatorah School in Toulouse three months ago, new statistics reveal that the number of anti-Semitic acts in France rose by 53 percent this year. According to statistics collected by the Jewish community in France, 274 anti-Semitic incidents were recorded between January and May of this year, as opposed to 179 last year. The Knesset Immigration, Absorption and Diaspora Affairs Committee held a special session on the issue June 27, hosting French Ambassador Christophe Bigot. (JNS.org) Jewish groups have voiced outrage at a German court’s decision that the physical integrity of a child is more important than parents’ religious beliefs. The ruling came after the circumcision of a 4-year-old Muslim boy caused the child heavy bleeding. Prosecutors had charged the doctor who performed the procedure with grievous bodily harm. The doctor was eventually acquitted, but a regional court ruled that circumcision “contravenes the interests of the child to decide later on his religious beliefs.” Though this ruling does not explicitly prohibit male circumcision in Germany, it sets a new legal standard for similar cases on the issue. The ruling was “outrageous and insensitive” as well as “an unprecedented and dramatic intervention in the right of religious communities to self-determination,” said Dieter Graumann, the head of Germany’s Central Committee of Jews. “Circumcision of newborn boys is a fixed part of the Jewish religion and has been practiced worldwide for centuries,” Graumann said. (JNS.org) India’s tourism minister, Subodh Kant Sahai, recently came to Israel for the first visit by an official in that position in 10 years. Sahai, who wants to increase Israeli tourism in India, met with Transportation Minister Yisrael Katz. The two agreed to promote a new bilateral aviation agreement that will allow charter flights between the two countries. This should double the flights operating between India and Israel, Haaretz reported. Fifty-thousad Israeli tourists visited India last year. “Our goal is 100,000 tourists a year from Israel,” Sahai said. (JNS.org) The Talmud is to blame for the global spread of illegal drugs, Iran’s second-in-command politician said June 26 at an anti-drug conference co-sponsored by the United Nations. Iranian First Vice President Mohammad-Reza Rahimi said Jews are “the main elements of the international drugs trade” and “think God has created the world so that all other nations can serve them,” the New York Times reported. (JNS.org) Forward Lior Eliyahu, whose rights were traded June 26 from the Houston Rockets to the Minnesota Timberwolves, could join fellow Israeli hoopster Omri Casspi in the National Basketball Association next season. Eliyahu, drafted 44th in 2006, was not a first-round pick and therefore did not receive a guaranteed NBA contract like Casspi, the current Cleveland Cavaliers forward. The 6-foot-10, 232-pound Eliyahu won a Spanish League championship in June 2010 and that September signed a five-year contract with Maccabi Tel Aviv, where he averaged 11.3 points and 4.1 rebounds per game this season. If a $500,000 NBA buyout clause in his Maccabi contract is settled, the 26-year-old Eliyahu can officially leave the Israeli team this summer. Minnesota acquired Eliyahu and forward Chase Budinger for the 18th pick in the June 28 draft. (JNS.org) Sheikh Taleb Al-Silwadi, a religious affairs columnist for the official Palestinian Authority (PA) daily publication, recently wrote that Jews and Israelis are “Allah’s enemies,” Palestinian Media Watch (PMW) reported. (JNS.org) Three ultra-Orthodox men were arrested in connection with the graffiti recently sprayed at Jerusalem’s Yad Vashem Holocaust museum. The graffiti expressed anti-Israel and pro-Holocaust views. “Thank you Hitler for your wonderful Holocaust that you arranged for us, it's only because of you that we got a state at the UN,” the graffiti read. The three men, ages 18, 26 and 37, “admitted to carrying out the incident, as well as other similar incidents in Jerusalem's Ammunition Hill and a memorial in the Jordan Valley,” said Israeli police spokesman Micky Rosenfeld. (JNS.org) Israeli Prime Minister Benjamin Netanyahu, Jewish Agency Chairman Natan Sharansky and Genesis Philanthropy Group founder Mikhail Fridman announced the new Genesis Prize—worth $1 million—which will be awarded by the prime minister close to the Passover holiday this year. Dubbed by Israel as the “Jewish Nobel Prize,” the award is an international prize honoring Jews for their achievements in science and the arts. “The prize symbolizes Jews' great contribution in human development and will be a source of pride for young Jews around the world,” Netanyahu said. “Only by being completely aware of their link to the values of the Jewish heritage can modern Jews fully realize their creative potential. The Genesis Prize expresses the joint effort of the Jewish Agency, the State of Israel and Jewish philanthropists,” Sharansky added. Posted on July 3, 2012 by JNS.org and filed under Briefs.